Three key themes defined 2015 for the U.S. oil and gas industry: 1) Low commodity prices, 2) a regulatory onslaught led by the U.S. Bureau of Land Management (BLM) and Environmental Protection Agency (EPA), but also arising from grassroots and state-level forces, and 3) continuing deep political and economic uncertainty as the next presidential, congressional and state-level elections approach in 2016. Below is a synopsis of key oil and gas sector events that transpired in 2015. On Sept. 30, 2015, the U.S. District Court for the District of Wyoming granted a motion for a preliminary injunction preventing enforcement of the BLM’s recently issued hydraulic fracturing rule. The district court concluded that the Independent Petroleum Association of America (IPAA) and the Western Energy Alliance presented credible evidence that the rule lacked a rational justification and was not supported by substantial evidence. Independent oil and gas producers will be able to conduct their exploration and production operations on federal and Indian lands without the burden of additional BLM hydraulic fracturing regulations well into 2016. In 2015, the Office of Natural Resources Revenue (ONRR) heightened its enforcement of royalty-payment obligations under the False Claims Act (FCA). ONRR focused its enforcement and collection efforts primarily on federal and Indian leases in Wyoming and New Mexico, as well as in Colorado, North Dakota, South Dakota, Utah, Oklahoma, Ohio and offshore in the Gulf of Mexico. Civil penalties in 2015 were most often issued for a failure to submit production reports and second most often for the failure to submit royalty reports. By comparison, in 2014 ONRR assessed civil penalties almost exclusively for the failure to submit production reports. The momentum behind this movement comes as a combination of the Department of Justice stepping up its investigations and filing cases under the FCA, and increased activity by whistleblowers. In total, ONRR assessed lessors, operators and other reporters and royalty payers more than $11.5 million in civil penalties. These penalties ranged from individual assessments of less than $3,000 to more than $6.9 million. In fact, this past year saw the largest amount of civil penalties issued to date. By comparison, in 2014 ONRR assessed just over $8 million in civil penalties, in 2013 just over $9 million and in 2012 just over $11.3 million. Within the next few months, the BLM is expected to propose at least one additional rule related to venting and flaring of natural gas from oil wells on federal and Indian lands. BLM’s proposal is expected to include rules governing well completions, production testing, liquids unloading, emissions control, gas conservation plans and maintenance and repair obligations. While the full implications of these regulatory initiatives are not yet clear, it risks driving up regulatory and operational cost burdens on oil and gas producers. Mergers and acquisitions (M&A) transactions in the oil and gas industry were down in 2015, with the notable exception of Shell’s acquisition of rival BG Group in April for approximately $80 billion — the largest energy merger in over 10 years. In the U.S. domestic deal space, M&A transaction value fell more than 35 percent year-on-year in 2015. Sellers continue to put a premium on attractive assets, disappointing buyers hoping to score potential bargains. That said, the longer the price downturn lasts, the more pressure will build toward greater restructuring within the industry. For example, highly leveraged operators will face mounting pressure to improve balance sheets with asset sales. Throughout 2015, federal regulators have focused on increasing inspection and enforcement actions in the crude-by-rail space, especially with respect to sampling, testing, and classifying crude cargoes. In addition, on May 1, 2015 the Department of Transportation issued its final crude-by-rail rule. The rule mandates more stringent standards for newly constructed tank cars — along with the retrofitting of older ones — and imposes new operational controls for high-hazard flammable trains. It also demands immediate compliance from railroads and tank car owners (e.g., new DOT-117 tank car specifications, speed limits and braking and routing requirements). 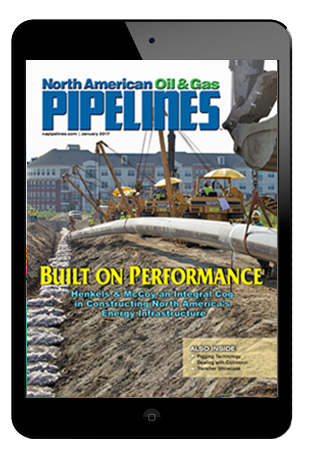 In February 2015, President Barack Obama vetoed legislation approving the hotly debated Keystone XL pipeline, and in November the U.S. government announced that it was rejecting TransCanada’s Keystone XL project after seven years in regulatory limbo. The announcement came as the Obama administration geared up for the international climate-change talks in Paris. authority by rejecting the pipeline and that the U.S. government’s arbitrary and unjustified rejection of the project violated Chapter 11 of the North American Free Trade Agreement (NAFTA). If TransCanada prevails, it will likely take another three to five years before all the appeals are exhausted. And even then, TransCanada’s only remedy may be to have the State Department issue a new decision, which could ultimately lead to another rejection of the project. At present, 34 states allow hydraulic fracturing within their borders. New York banned fracking in June 2015 after more than seven years of study and debate, joining Vermont as only the second state to have formally banned the practice. Several other states have gone the opposite direction, lifting moratoria and legislatively overturning anti-fracking measures. North Carolina became the 34th state to allow hydraulic fracturing within its borders when it began issuing drilling permits in June. Likewise, in May 2015, Texas Governor Gregg Abbott signed House Bill 40 into law, prohibiting cities, towns and local municipalities in Texas from enacting bans on fracking. For their part, Oklahoma lawmakers passed a similar law — SB 809 — prohibiting municipal governments from regulating oil and gas drilling at the local level. Activists continue pushing to get anti-fracking measures on ballots across the country. In Colorado, eleven different ballot proposals aimed at the oil and gas industry have been filed with the Colorado Legislative Council — including imposing a statewide ban on hydraulic fracturing. These filings are the first step to getting the proposals on the 2016 ballot. 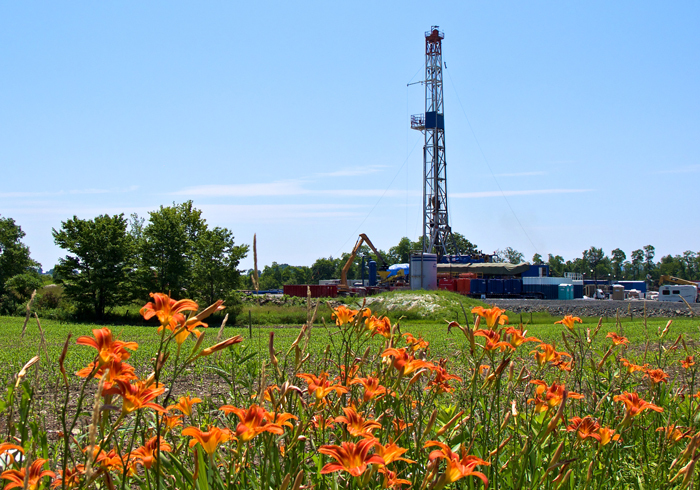 A similar initiative to ban hydraulic fracturing is also in the works in Michigan. In Oklahoma, the Oklahoma Corporation Commission’s (OCC) Oil and Gas Conservation Division imposed a number of volume reductions and well shut-downs in response to rising concerns over induced seismicity possibly related to produced water injection activities. In March 2015, the Kansas Corporation Commission (KCC) also ordered operators to incrementally reduce produced water injection volumes. Also in Oklahoma, the state Supreme Court issued a landmark ruling clearing the way for individuals to sue oil and gas drillers for damages that result from earthquakes linked to drilling. The Oklahoma Supreme Court rejected arguments from the oil industry that such cases should be resolved by the OCC — a state regulatory agency run by three elected commissioners — rather than by the courts. In 2016, the U.S. oil and gas industry will face a changing state and federal regulatory landscape and increased litigation in the face of persistent low prices. Bankruptcy and restructuring will remain at the forefront, with well-positioned operators seeking value as highly leveraged companies are forced to sell off assets. More uncertainty awaits in the political arena, with a presidential election looming. 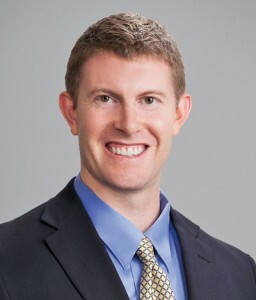 Gabe Collins is an attorney with BakerHostetler in Houston. He focuses his practice on energy, environmental and white collar issues, including litigation and business matters.